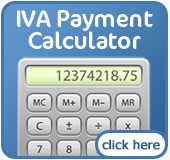 What are the advantages of an IVA compared to Bankruptcy? If you opt for an IVA and are eligible, you will be able to have a lot more control over your assets than you would with a formal bankruptcy. You may well be allowed to keep your home and other assets. You will also have a lot more control as to where your money is distributed and how much you pay. An Official Receiver is appointed to protect your goods and possessions. They will act as a trustee of your bankruptcy should you not own any assets. Should you have non-essential assets, an Insolvency Practitioner (IP) will be allocated to work on your behalf to sell these assets and pay your creditors. Your creditors are not allowed to contact you for any money; everything must go through your IP as they are acting as your official trustee. Where can I find a county court? Please feel free to use our list of county court numbers. Bankruptcy usually lasts for a year. The length of time your bankruptcy lasts largely depends on you. If you co-operate with your IP or Official Receiver you will most likely be discharged from your bankruptcy in a year, regardless of how much you owe. Should you fail to co-operate, your bankruptcy may well last a lot longer than a year. In some cases the term can be shorter than a year but this is rare. How does Bankruptcy affect me? Bankruptcy does have a major affect on you and your situation. When bankrupt, the official receiver or appointed trustee can decide to sell your assets to pay your creditors. There is however exceptions to what they are allowed to sell such as work equipment (tools, vehicles or anything required to work) and essential household items needed by either you or your family such as clothes, bedding, furniture and more. An Official Receiver will look at your earnings and take into account your personal expenses and decide if it is prudent for you to pay money to your creditors. This payment can be in the form of fixed monthly payments and can last for three years. If you object to this agreement, the official receiver has the right to get a court order to force you to make these payments for a minimum of three years. These payments can be reviewed by your request should your situation change in any way. 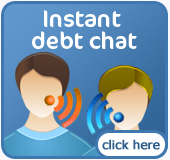 You will still be liable to pay any new debts you may generate after going bankrupt and any ongoing commitments and payments such as rental or other household bills. Bankruptcy is a scary word for most people and simply put, means that you are unable to repay your creditors. Going bankrupt is the realisation that you have run out of options financially. This does not make it a bad thing and often it can help people on the way to rebuilding their financial situation. It is important to remember that bankruptcy is not permanent. Before declaring yourself bankrupt, it is important make sure that you have looked into other options that may be available to you such as debt consolidation loans, IVAs, informal agreements, administration orders and other debt management plans. Often one of these solutions can prevent bankruptcy and provide the same level of financial help you require. It is a common misconception that the bailiffs will turn up the day after declaring yourself bankrupt and seize your TV and other possessions. This is not true and bankruptcy is designed to prevent exactly that. Your non-essential assets and excess income would be used to pay your creditors. Your house is considered a non-essential asset so that would be used.